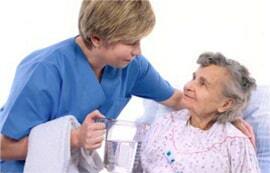 From the very arrival of the aged person at Buona Vita we ensure a 24-hour supervision over their health state. All staff is committed to make this possible, including: 1) personal doctors with medical experience and clinical laboratory; 2) consulting doctors (doctors with expertise in a particular field of the medicine, who give consultations at the home if need be); 3) highly qualified nurses – available to carry out various medical manipulations; 4) rehabilitators – to treat patients with neurological, orthopaedic and other problems; 5) a social worker – to assist the occupiers, so as to make their communication and adaptation successful; 6) sanitarians with a rich social experience. We organize cultural events at the home – birthday parties, holiday and congratulative concerts for which musical and folk groups from all over the country are invited. For the ones well- interested in Bulgarian history and who are physically fit, we organize excursions to sites and monuments of cultural and historical importance.